"To Calvin H. Higbie, of California, an honest man, a genial comrade and a steadfast friend," this book is inscribed by the author, "in memory of the curious time when we two were millionaires for ten days." 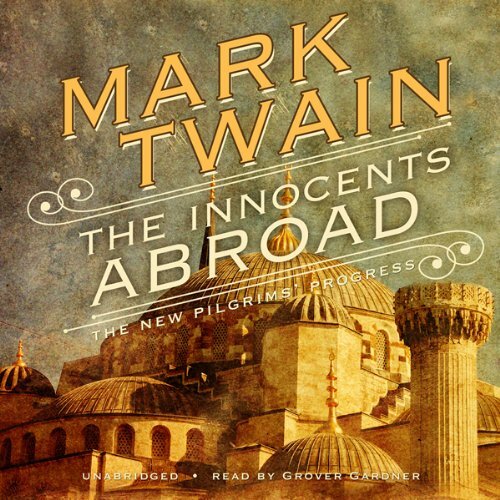 So the witty Mark Twain dedicates his second travelogue and charming SEMI-sequel to The Innocents Abroad. If you've not read Innocents Abroad, this is a great way to experience it. Many don't read this and it is one of Twain's hidden gems. It is Twain at his best, "Is he dead?" The first time I read it, it made me laugh out loud in public places. If you have travelled at all you will enjoy it. If you travelled to these places you'll get an extra bang out of it. Human nature is timeless and there is no better proof of it than the observations of a master. He gives the straight dope on traveling in Holy Land. For a long time the only version of "Innocents Abroad," was narrated by Flo Gipson. The first time I heard it, I thought it was horrible. But I've listened to it more than once, it makes great bed-time listening. 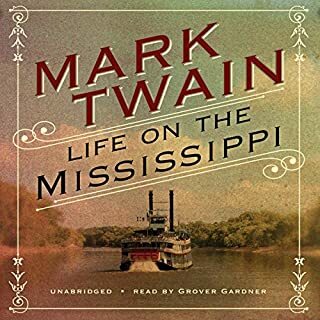 I downloaded this version because it was narrated by a man, but I have to say, I think Flo Gipson captured Twain's irreverent tone better than Grover Gardner. Grover Gardner has a more pleasing sounding voice than Flo, though. So it's a toss-up. Imagine going on a five-month package tour of Europe and the Holy Land in 1867 with a pre-Tom Sawyer Mark Twain--his acerbic wit aimed at tourists, countries, peoples, artifacts, and monuments. One of the most interesting features of Twain's The Innocents Abroad or The New Pilgrim's Progress (1869) is seeing what the world was like back in the 1860s through his eyes: Italy lurching into unification; a prince from Denmark ruling Greece; Napoleon III remodeling France; America completing the transcontinental railroad; Russia being friendly with the USA; and cholera threatening Europe. At the same time, many things are eerily similar to today's world: packaged tours, "asinine" tourists, passport and quarantine problems, beggars and peddlers, guides in cahoots with shops, etc. And some things transcend time: the pyramids and ancient art. Twain and his fellow American "elect pilgrims" on the steamship Quaker City are only ironically "innocents"; through popular literature and guidebooks they have imbibed romantic images of the places they visit, and they are guilty, like all tourists, of becoming "asses" abroad. 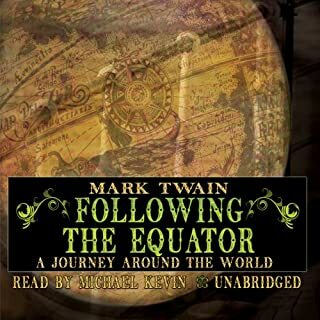 At the outset Twain states that one of his purposes is "to suggest to the reader how he would be likely to see Europe and the East if he looked at them with his own eyes instead of the eyes of those who traveled in those countries before him." To do this, with an angry glee he debunks various "frauds" about Europe and the Holy Land perpetrated by idealizing writers and avaricious guides, shop owners, and government officials. Any conventional wisdom about culture or religion or travel is fair game. Twain is bracingly--abrasively--politically incorrect. He scorns Europeans for never bathing with soap and says things like "Italy is one vast museum of magnificence and misery" peopled by "fumigating, maccaroni-stuffing organ-grinders" and beggars who should exercise some self-reliance and rob the rich churches in their poor neighborhoods. The farther East he travels, the more hideous and importunate he finds the beggars and peddlers. He lumps Arabs with Native Americans as dirty savages whose habit of silent watching makes the white man want to exterminate them. He longs for Russia to go to war with Turkey to clean the world of the blot of the Ottoman Empire ("a people by nature and training filthy, brutish, ignorant, unprogressive, superstitious--and a government whose three graces are Tyranny, Rapacity, Blood."). He and his friends take to calling any guide from any country "Ferguson." He often compares the exotic things he sees with familiar things in America (like the Sea of Galilee with Lake Tahoe). As he moves through the Islamic world, he feels the pain of being disliked as a Christian by "heathens." All that said, Twain also skewers Americans and the USA. Some of his fellow pilgrims are "reptiles" in need of squashing, people who paint their names on monuments and hack away souvenirs from them wherever they go. And he excoriates both the ugly American noisily carrying on in English in foreign restaurants and the pretentious "hermaphrodite" American showing off by mangling foreign languages. His account of trigger-happy pilgrims firing pistols at imaginary Bedouins is disturbing and hilarious. Twain boldly reveals his ignorance about or lack of taste for sacred cows. The Old Masters are overrated, because they painted the same subjects (martyrs, saints, Mary, etc.) ad nauseam while bowing and scraping to their patrons. He mocks tourists for Oohing and Aahing over da Vinci's Last Supper when they are really unable to see the figures in the time-worn and dirt-caked painting. He tears the romantic veil from famous lovers like Abelard and Heloise and highlights the bloodthirsty nature of medieval knights and Old Testament war heroes. He even "discovers" humorous "apocryphal" accounts of Jesus' miracles as boy wonder. Twain does not only mockingly debunk. He is moved and impressed by places and things like Versailles, Milan's cathedral, and Lebanon's Baalbec temple complex. He is open to sublime phenomena and skilled at evoking awe and pleasure in them, as with the Sphinx, "grand in its loneliness; it is imposing in its magnitude; it is impressive in the mystery that hangs over its story. And there is that in the overshadowing majesty of this eternal figure of stone, with its accusing memory of the deeds of all ages, which reveals to one something of what he shall feel when he shall stand at last in the awful presence of God." He generally finds magic and beauty in the moonlight (e.g. the Acropolis) or at a distance (e.g. Damascus)--until the sun rises or he gets too close, when squalor and noise assert themselves. 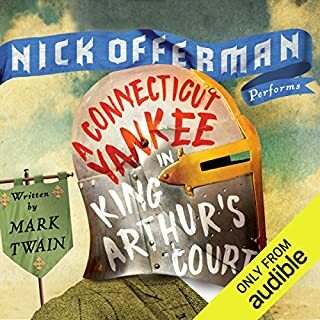 Even early in his career, Twain is a great writer, describing things so vividly you can easily imagine them, as with Nazareth "clinging like a whitewashed wasp's nest to the hill-side." And he writes funny riffs on things like Constantinople's dogs (ubiquitous and unambitious), true cross relics (ubiquitous and suspicious), Joshua's wars (comprehensive and bloody), and Holy Landscapes (sun-blasted and rocky). I wish he were less biased against Islam and Moslems. His antipathy makes him exaggerate their people as "savages," their music as "infernal," their language as "ugly," and their cities as squalid and ignore the appeal of things like St. Sophia ("the rustiest old barn in heathendom"). He takes travel writers and tourists and art lovers to task for romantically exaggerating the merits of Oriental exotica, and then cynically exaggerates their demerits, as when he says, "Of all the unchristian beverages that ever passed my lips, Turkish coffee is the worst," producing "a tickling aggravation that keeps you barking and coughing for an hour." At times his humor tires. Grover Gardener gives his usual smooth, clear, and appealing reading of the book. He sounds like Twain uttering his own frequent irony and occasional awe. Finally, this is a big, biased, funny, embarrassing, and enriching book. It is a little like reading the Twain of "Fenimore Cooper's Literary Offenses" (1895) anatomizing Cooper's "bad" writing with comically gross exaggeration: entertaining, but perhaps not wholly fair or accurate. Twain fans and travel fans should read it. One of the must read books of all time. The reason is simple enough. It records one of the earliest purpose-planned group tours in all human history. Twains group left the States on the sidewheeler steam ship Quaker City in 1867 and logged about 20,O00 miles to the Eastern mediteranean and back. The ship was built at the beginning of the civil war and had one of the most active service lives of any naval blockaded ship of the era before it was sold off. Cruise speedx12 knots. This was in the tradition of The Grand Tour but with mature people and far more extesive itinerary. And often a seriously difficult one as well. More then one 13 hour horse ride in hot deserts. I was impressed. All this took place at the very beginning of what I would call the modern era of telegraph and railroad infastructure and about ten years before Custers Last Stand. I especially enjoyed the pyramid tours because my experience with the locals in 1983 was depressingly familiar. However, Twains description of the climb to The Kings Chamber left me confusd. He descrbed it as a narrow dark passage way! The grand gallery is one of the most dumbfoundingly jaw drpping sights on the planet! Twain complains of the inferior tallow candles used both at the hotel and the during the assent so he his group must have been very poorly lit. Where does The Innocents Abroad rank among all the audiobooks you’ve listened to so far? Mark Twain, as it is written in the first person. Wow! 100 years old and totally fresh today! What did you love best about The Innocents Abroad? All the terrific anecdotes about how the Americans interact with the Europeans. And the hilarious problems with language and guides. What was one of the most memorable moments of The Innocents Abroad? How they would rename all their guides to "Fergusen"
Hadn't heard him before but he was wonderful. For anyone who thinks Mark Twain is just Tom Sawyer or Huck Finn, they should listen to this book. It is just wonderful. And tells you a lot about life in the 19th Century. Twain is one of my favourite fiction writers. All his talents are also there in full strength in this non-fiction work. Telling the story of a journey through the Mediteranean and the "Holy" land by a group of Americans it is laced with all the humour, irreverance and intelligence that I love in his work. As a travel book it gives just enough flavour of the countries and places it visits to be relevant and contains some interesting historic details that were the currency of the day. I came away with a clearer picture of the reach of the Turkish (Ottoman?) empire than I had before and a better notion of some of the scale of the geography. But you're not going to enjoy this for geography or history. You're going to enjoy it if you're interested in people and intelligent and witty comment on their behaviour. That is what Twain did best and this is one of his best. Grover Gardner does an excellent job of the narration. Just the right level of old man growl to fit the words perfectly. How can Twain have come on my trip? Anyone who has ever gone on a tour with a small group, or taken a river cruise, will be amazed at how a man from the 19th century can know what life travelling in the 21st century is like. Twain describes personalities travellers today will instantly recognise, and lampoons them with flair. He even understands the silly bureaucratic little Napoleans you will encounter along the way. Now, you have to be a fan of dry humour (Sahara-like) to appreciate Twain. This is not Huck Finn, but a real life travelogue that just happens to skewer tourism across time. I highly recommend this book. I was all over the place with this book. It is a semi-factual telling of a journey to the Holy Land in an old, retired Civil War monitor, the former U.S.S. Quaker City. As with all of Twain's writing, there is truth, and then there is Truth, and then there is pure fancy and invention. This book had all of those. I felt I could imagine these long ago travelers despoiling antiquities and being rude, arrogant, and ignorant to the locals. I also got their good intentions and curiosity. Throughout, I could be embarrassed by the ignorant American tourist, or amused by Twain's description, or offended by the souvenir hunting, sometimes those feelings were right on top of one another. I was surprised by the spiritual side of Twain. I thought it an interesting book. I would recommend this book to someone who wanted to read Twain specifically or to someone about to travel to Europe and the Middle East. It did drag on or ramble at times, but that's Twain. Did Grover Gardner do a good job differentiating all the characters? How? He didn't really try to differentiate the characters because it was written in first person. I do wish he had taken bigger pauses between subject changes though. Twain can make some big topic jumps but there was no breath between so more than a few times when I was doing something else I had to rewind to catch the transition. Do you think The Innocents Abroad needs a follow-up book? Why or why not? First I read the print version...at least three times over the years...then I found this audiobook, which I have listened to twice. 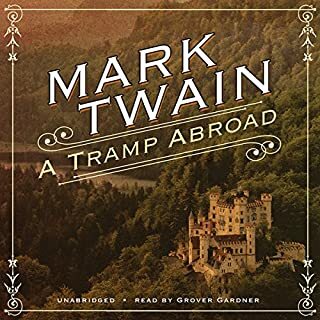 This is a wildly humorous account of a real voyage Twain took in accompaniment with some travelers on a trip to Europe and the Holy Land in 1870. As with all of Twain's travel literature, the book includes real information, facts, descriptions, about the trip and the travelers, but he also makes fun of himself and his co-travelers....exaggerating at times, but always very humorous. Interestingly, this was Twain's FIRST book...except for a collection of short stories...and it sold more copies in his life than any other one of his books. It established him as a major writer, and it put many dollars in his pocket. A peculiar fact about the most famous humourist of the 19th century is that of all his numerous works, it was the serious and even sentimental "Joan of Arc" that he was most proud of. This dichotomy between the merciless satirist and a man capable of deep empathy and enraged by social injustices is nowhere as apparent as in this travelogue. Published in 1869, this book witnessed the period immediately succeeding one of the most tumultuous periods in European social history and Twain pulls no punches from his perspective of a more politically advanced and enlightened American citizen. He gets our laughs by ridiculing everything from great art ("some of us said that certain of the great works of the old masters were glorious creations of genius - we found it out in the guide-book, though we got hold of the wrong picture sometimes") to the trade in relics (of the Holy Cross: "I would not like to be positive, but I think we have seen as much as a keg of these nails"), but then immediately offers a moving description of the abjectly poor Italian masses, forced to beg in the streets.while the Roman church hoards gold and flogs holy trinkets to tourists. This work is as much a short introduction to the 19th century European politics as it is a hilarious road trip through the Old World. 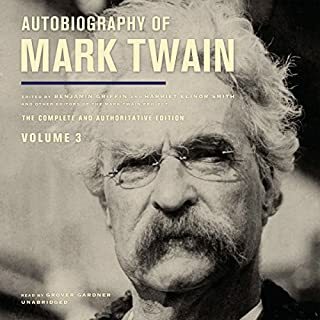 Gardner's narration is wonderfully suited to Twain's mix of laughs and poignancy. His comic timing and delivery are impeccable - sometimes his narration is so dry, that you have to rewind to make sure that he really just said what you think he did. 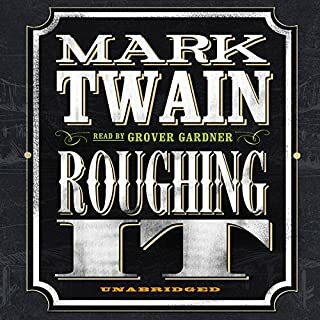 Gardner appreciates that this is Twain's gig and the text is strong enough to stand on its own without any 'nudge, nudge' encouragements from the narrator, so the laughs remain unexpected and fresh and you don't see many of them coming even after you have listened to most of the book. Word of advice - be careful about listening to this on public transport if you have a tendency to snort. What did you like most about The Innocents Abroad? If you've ever been to any of these cities, try some mental compare and contrasting. It's interesting to note how much/little changes. Mark. He's pretty much the only constant character. I loved most of the bits in the holy land. He's incredibly sarcastic (I think?) about everywhere. Be warned if you hate sarcasm. Would you consider the audio edition of The Innocents Abroad to be better than the print version? I prefer audio to print. The 'character' which was my favourite was Venice. At the end of every Audible title a distant voice states 'Audible hopes you've enjoyed this program'. Well, I sure as shooting enjoyed this one! Grover Gardner the narrator was very good indeed. However I could not help but wonder the following scenario. Samuel Clemens was a Master of the Pause. Robbie Coltrane, a Scots actor, is a Master of the Aside. I did wonder what Robbie Coltrane would have made of Innocents Abroad. Coltrane handles asides beautifully. Nevertheless Grover Gardner hooked and guided and enchanted me. The mistake surely is the publication date. Some of Twain's observations (written in the mid C19) were fresh and relevant and could have been written down in the second decade of the C21. Others observations perhaps less so. Thank you Audible and thank you Grover Gardner. This is a listen not to be missed. A fascinating survey of France, the Mediterranean and Asia Minor in the late 1860s. It's the little snap-shots that provide most pleasure. The pen-portraits of Napoleon III and Tsar Alexander II are worth setting again more standard historical summaries. There are, as might be expected, playful digs at aristocratic pretension and the dirt, laziness and corruption of many ordinary people, but Twain is similarly unforgiven about some of his own countrymen. The Crimean War is referred to on occasion, but it is interesting to note the lack of real reference to the more recent American Civil War in a work that relies on building parallels for readers back in the USA – readers who understood the copious Biblical and classical allusions more than their more counterparts.. There is throughout a balance between naive expectation and ultimate disappointment, which will speak to many a tourist who finds that guidebooks and popular imagery often distort a more prosaic reality. I personally preferred his subsequent "A Tramp Abroad" on Germany and Switzerland, though the range of discussion is broader here. The reading in this version is faultless.